This isn't the first time it has happened, and it likely won't be the last, because the buzz around a new Google Nexus tablet has a powerful effect and it leads to mistakes. 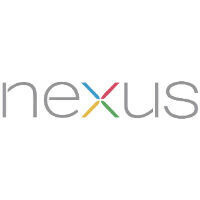 So, we just wanted to let you guys know that the "unidentified tablet" posted on the Google I/O website has been identified: it is a Nexus 10 and not the hotly anticipated Nexus 8. The image (as pointed out by reader "Aralf") is the same image of the Nexus 10 that is found on the Bay Area Event Photography website from Google I/O 2013. It doesn't show the Nexus 8, but rather the Nexus 10 as part of the Chrome game "Racer" demo. We were fooled mostly because of the angle of the image which distorted the features of the Nexus 10. The angle in the image makes it look like the top and bottom bezels are different sizes than the sides, which is not how the Nexus 10 is designed. If you want to see the demo, it starts at the 4:20 mark in the video below, though it doesn't show the image in question. Sorry about the confusion and any We're now less than one month away from Google I/O 2014, so if there really is a Nexus 8, we should know soon enough. Thanks Chris. Not quite as bad as Alan's been though. At least we have Michael to pick up the pieces. haha! IDK about Alan or Chris, but I do like Michael. Wish he writes more often however. I remember two stories from Alan that were posted after Michael posted the same thing. Chris really isn't that bad though, this is probably the first time he's done anything mildly annoying. Really? You couldn't tell that was a 10" tablet? That's downright pathetic. I think there won't be Nexus 8, there's already G Pad 8.3 GPE and difference between 7 and 8 inches is such small for tablet that Goolge may not want to make 2 almost identic devices. Please, let there be a new Nexus 10. I don't want a tiny 7", give me all the real estate of a 10"!